The Meukow Arima Cognac is the signature blend of Bunji Garlin, and is a very special and unique blend. This assemblage of eaux-de-vie manages to create the perfect note between elegance and roundness, and it's the ideal Cognac to enjoy with a couple of blocks of ice. Bunji Garlin is from Trinidad and Tobago, and is THE Caribbean soul sensation superstar. He was invited by Meukow Cognac to visit the home of the world's greatest brandy in order to put his unique stamp on this great Cognac. 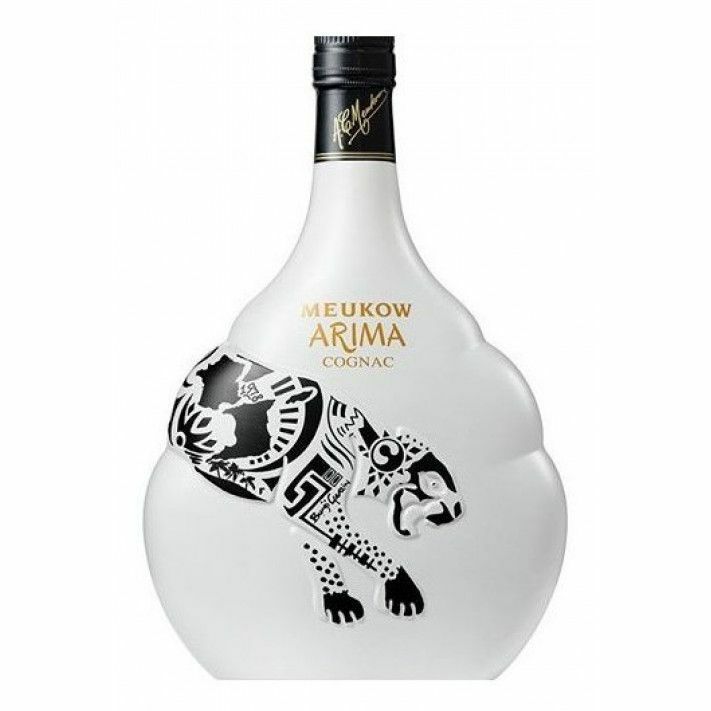 The design of the graphics on the bottle are his work, and as such he's made Meukow's signature pouncing panther a one-of-a-kind. A truly striking Cognac to own.